There are currently no channels online. Please try again later. PokerStrategy.com has a reputation for being one of the best poker training sites because it has a unique tailored approach to poker training. Poker is a very complex game and you cannot simply learn it by watching somebody better than you play. There are so many nuances to this game which you have to approach in many different ways. We present many ways to learn poker from videos, articles, hand discussion forums, poker software and private coaching. However, one of the most effective ways to improve your game is via our live poker coaching. This is where you and your fellow members come along to this page for a webinar based learning experience with one of our poker coaches. You can learn passively just by watching like in a poker training video but the secret sauce is by taking part in the interactive elements of the stream (We actually advise you to actively take notes during coaching and videos). You don’t have to do anything other than show up for our live poker coaching sessions. You don’t need a password, the stream will be waiting for you when you log on. If you are unable to make it on the day almost all of our live poker training sessions are recorded and become part of our poker coaching videos archive. There is a chat function available for every type of live poker webinar which you can use to ask and answer questions, both of your poker teacher and your fellow students. In some sessions you may even be invited to do a voice call with the poker tutor. Unlike many other sites, our poker coaches don’t just simply show up and play for a few hours in front of an audience. Our advanced poker training is almost always on a specialist theme where we really dig into a detailed aspect of the game. If you are struggling with value betting on the river, you might be lucky with some coaches if two hands come up where it’s relevant. With us it is much more likely we will have an entire series devoted to value betting on the river, which would likely include your own hand examples as well as the coaches. If it is all too much for you at first we recommend you visit our beginner poker strategy section. We have had live poker training webinars on everything from theory, playing in different positions, moving up from certain stakes, how the game has evolved, GTO, playing without HUDs, advice from a poker mind coach and much much more. If there is something you are struggling with right now the chances are we have covered it before and will do again. Check out our best poker training videos section to see our complete archive. One of the best ways to learn poker is to talk about the game with friends. Our poker coaching understands this and makes sure what we offer is as interactive as possible. You won’t just learn from the poker tutor, you will learn from each other too. Your fellow members will have some of the same leaks you have so make sure you listen to their questions and do not be scared to ask some of your own. In many cases our poker coaches ask for volunteers to have their games reviewed. This is an opportunity that cannot be passed up because it is a way to get one-on-one advanced poker training from an excellent poker teacher completely for free. All you have to do is do it in front of other players. This approach goes way beyond the webinar itself as you can prepare for the lesson and discuss it afterwards in our poker forum on specialist threads. The poker teacher usually will be around too to answer any further questions you have. The majority of our live offering is completely free poker coaching that anyone can attend. Finally, we just think this is a really fun way to learn poker and if you are having a laugh, it doesn’t feel like hard work. In fact many of our live sessions are much more relaxed in nature, for example Collin Moshman interviews well known faces from around the world of poker and often LemOn36 hosts the Poker Show where he just has fun with a special guest. Speaking of which if you were unsure of whether this was the best poker coaching site for you, all you have to do is look at the level of some of our poker coaches. We have, of course, Collin Moshman who is considered the Godfather of SNG poker. Collin does weekly webinars and videos for us. We have Magic: The Gathering champion and poker professional Uri ‘sirrybob’ Peleg who has a unique take on the game. You may recognise regular SNG coach bencb who is better known for winning over $1 million in the biggest ever buy-in WCOOP event. Our two coaches LemOn36 and w34z3l are very popular because they create some of the most unique and detailed training courses you’ll find anywhere. Highly accomplished MTT professional LuckyLukePS is also a very good poker mind coach, so you get two types of lessons from him. Top female streamer Courtney ‘courtiebee’ Gee is a regular guest coach for us and she covers everything from cash, to MTTs to eSports. Former PokerStrategy.com coaches have also include Patrick ‘pleno1’ Leonard, Jens Kyllonen, Daniel ‘Jungleman’ Cates and Katie Dozier. If you are still not sure that our live poker training is for you, just show up the next time one is on. You don’t have to participate and you can just get a feel for what they are like. We really do think it is the best way to get poker lessons from the pros at no direct cost to your bankroll. 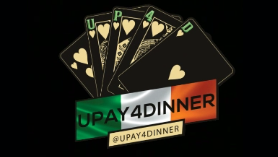 If you are still unsure then feel free to ask around first in our poker forum.